So yesterday we visited several museums of modern art, all of them having clothes for sale. Galleries Lafayette, Uniqlo, Antoine and Lily, and other places I’ve worked to forget. Today we went to THE Museum of Modern Art and it is one I will remember. 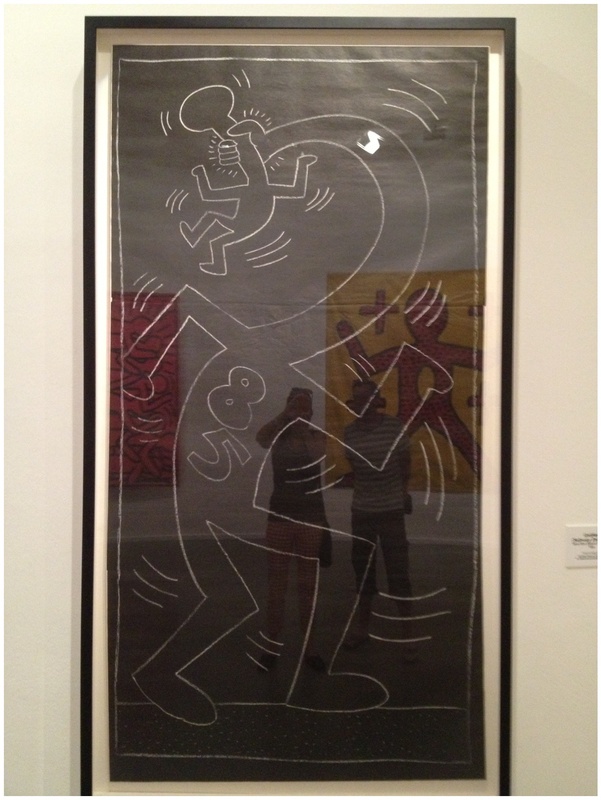 The featured exhibit was the work of Keith Haring and it really was interesting. The way he presented his humanistic views really appealed to me. 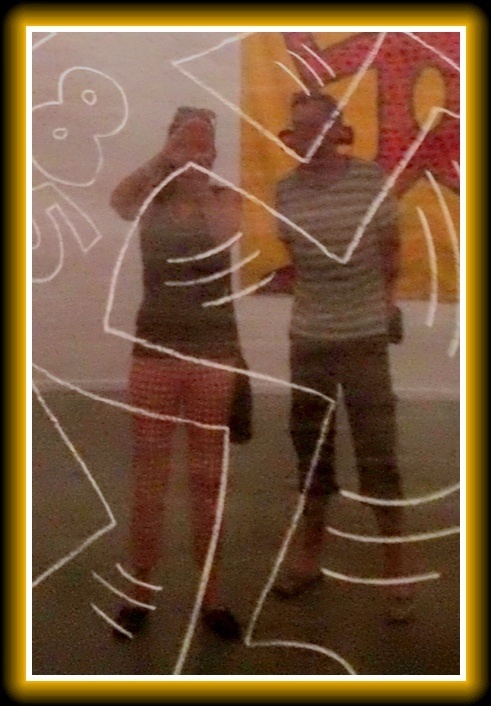 Melinda is a big Keith Haring fan so she took a lot of pictures. I got a kick out of how this one turned out. It’s the same photo here. The first version is what Melinda intended to shoot. The second is our reflection in the glass, cropped and enhanced. We first saw Keith Haring in Amsterdam about 25 or 30 years ago and enjoyed this “young and upcoming” artist. I believe Melinda was with us at that time.